Our experts will help you understand your website's performance and how to get the best out of it, to improve traffic, conversions, enquiries and sales. We will give you free top tips and best practices to ensure your website is a complete success. Your one-stop, locally sourced, centrally managed, expertly provided, reasonably priced, competitor beating, configurable, flexible, scalable, search engine rank-climbing service. Forget the spam email merchants and telesales people telling you that they can get you to No 1 in the search engine rankings. Talk to a local person – your Positively Online representative – somebody who knows about websites, understands your circumstances and lives just down the road. Get your website seen by the people who will benefit most from it at a price you can afford by choosing only the elements of the Complete SEO service that you need to achieve success. 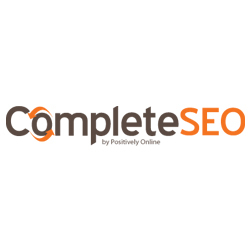 With seven elements to choose from and regular automated reporting direct to you of the progress being achieved, Complete SEO from Positively Online is a breath of fresh air in an otherwise confusing and polluted world.